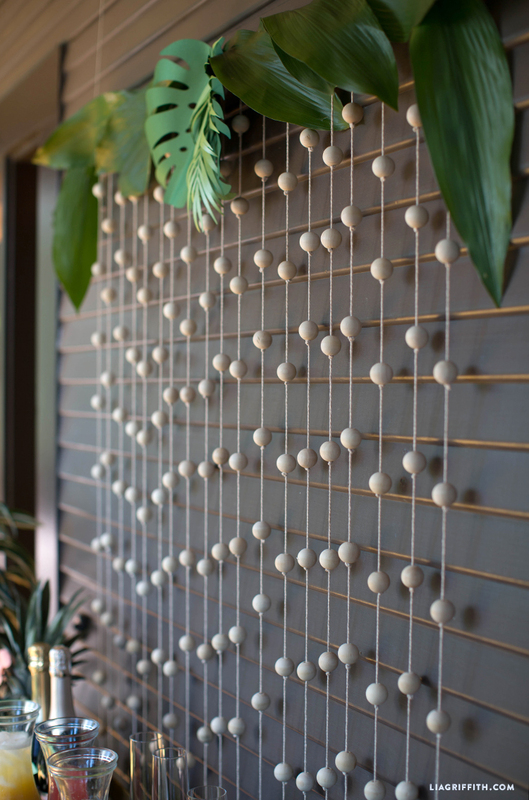 Craft the Ultimate Bridal Shower with This Wood & Bead Backdrop! 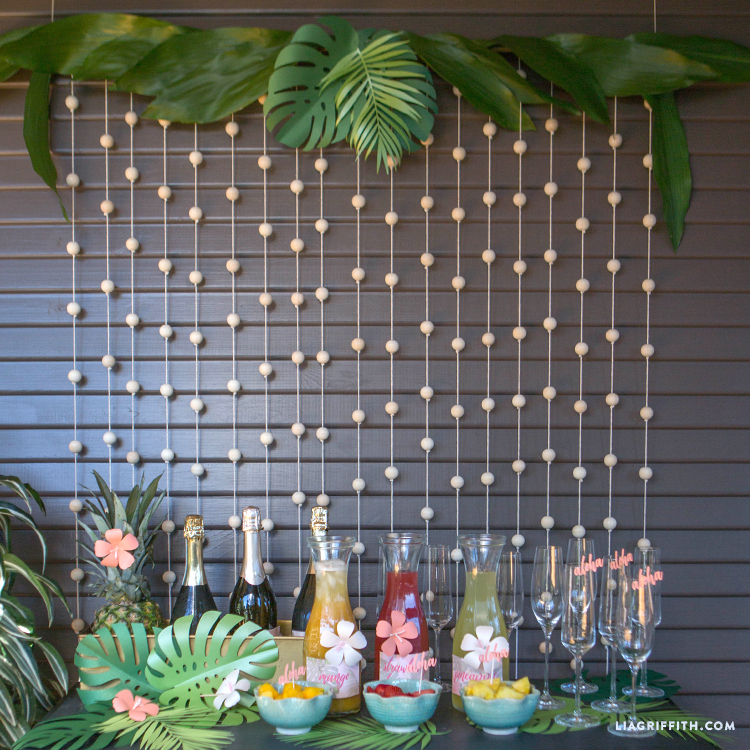 No bridal shower is complete until you have a gorgeous backdrop for your bar or for pictures. 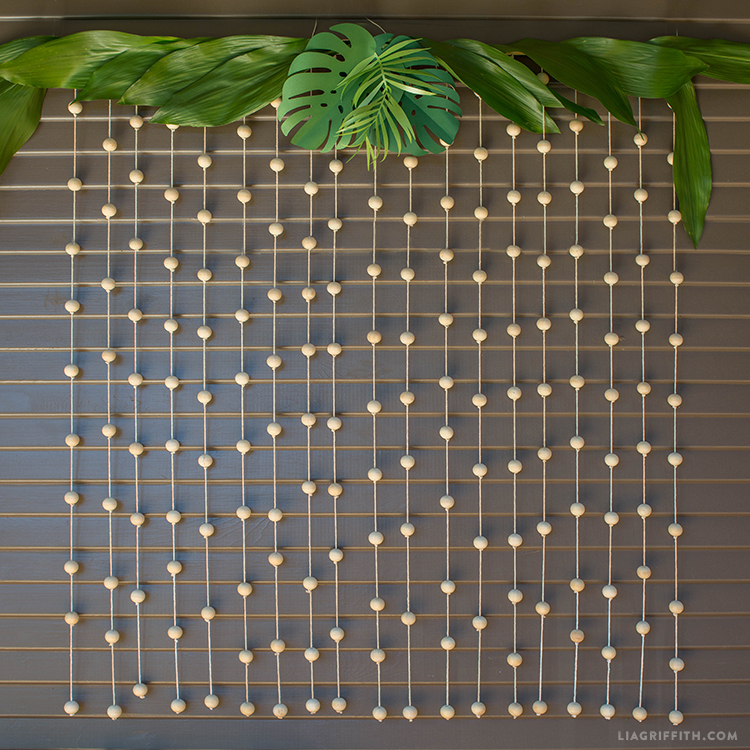 Luckily, we have an out-of-this-world backdrop curtain made out of wood and beads for you to craft! It’s a simple yet elegant way to adorn your party with a DIY vibe. And the best part? It’s really easy to make! All you do is gather the tools and materials, then follow our step-by-step instructions below or download them for later. Make sure to download the SVG or PDF templates too for your leaves up top! Cut twenty 5-foot lengths of string, thread one end through a long needle. Tie a double knot at the other end of the string. Thread a bead onto the string and let it rest on the knot. Tie a double knot about 4in about the bead. Thread the second bead onto the string, repeat until you have 9 beads spaced on one string. Repeat steps 5 and 6 with all 20 strings, tie all of the beaded strings to your dowel spacing them about 2in apart. Trim oany excess string. Cut out paper leaves according to template notes, then shape them using the curling tool. Use wire and hot glue to attach the paper leaves and other greenery to the dowel.